In the end, it represents an exciting moment in my day when I played all seven of my tiles for that elusive extra 50 points. (Ken tells me, chidingly, I'm "a good winner") So, she "Bounces" out of here and says, "So", nice play, "Eh"? Wow, great scrabble move and lovely story to go with it - you've inspired me to dig out my scrabble board again! Love the story and the photo that represented your day! Nice move, and it's documented. Do you play Speed Scrabble? I just got Bananagrams for Christmas...that's a fast game...but we don't time our plays during a regular Scrabble game. I don't know if any of us could take the pressure of playing faster than we do! I gave it to my nephew for Christmas, too. Right....now I know and have sourced a UK supplier! Well...the "we" was a general "Scrabble Players" pronoun. As you say - opportunity as well as the right letters....but it is a good game, especially when you "play nice". Then we could see more of the squirrels - the last picture was so good - would love to view others. you need a scrabble-playing squirrel! I wouldn't mind seeing a few more of your squirrel photos... I think they're fabulous. But this is fun too. Great move! After putting up my daily photo before going be bed each night, I feel as though your replies are like little gifts that greet me each morning! Thank you all for that! I don't think any of us would get tired of your squirrel photos! Although congrats on the 83 points for your game. 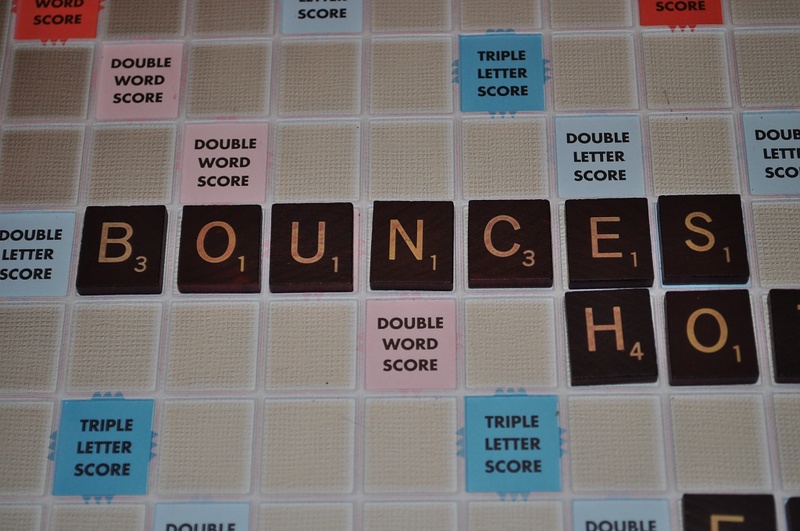 I always like your Scrabble shots! Oooooh and I'd love to see your Shutterfly travels! haha, I'd be okay with another squirrel picture :) I love squirrels! and yours are soo good! great job with the photo. if only this worked everything we played. So much fun ... I always love reading your commentary! I like your photo and your description. It made me smile! i played scrabble yesterday too! yay for your seven tiles! Love the picture... love the story! Congrats on a 7 tile word! It's been so long since I've played scrabble that I've forgotten how. I'll have to pull my game out of the closet this weekend.